Disclaimer: Home Health Living is a participant in the Amazon Services LLC Associates Program, an affiliate advertising program designed to provide a means for us to earn fees by linking to Amazon.com and affiliated sites. I’ve been writing about water filters for almost two years now, and during this time I’ve noticed some brands of water filters are more popular than others. Berkey is a brand that people love and trust- the Big Berkey is a favorite with many households. I’ve decided to write a review post about the different Berkey water filters, as well as answer some common questions that people have about Berkey water filters. Does a Berkey water filter remove fluoride? Where can I find Berkey water filtration system reviews? Berkey water filter vs reverse osmosis: what’s the difference? Can you share some Berkey water filter comparison information? Berkey water filter vs Zero water: which one is better? Doulton water filter vs Berkey: which do you recommend? There are many others too, which I’m going to cover in this Berkey water filter reviews post. What are the differences between the Berkey water filter systems? What are the similarities between the Berkey water filter systems? How is a Berkey water filter system different to the other brands? Why Are Berkey Water Filter Systems So Big? Berkey Water Filter vs Zero Water: Which Is Better? If you’ve been reading Big Berkey water filter reviews then you’d know it’s the most popular Berkey model currently on the market. It’s a great choice if you need a lot of filtered water! If you’re a large household, or a household that consumers a lot of water, then a typical water filter pitcher isn’t going to be helpful. 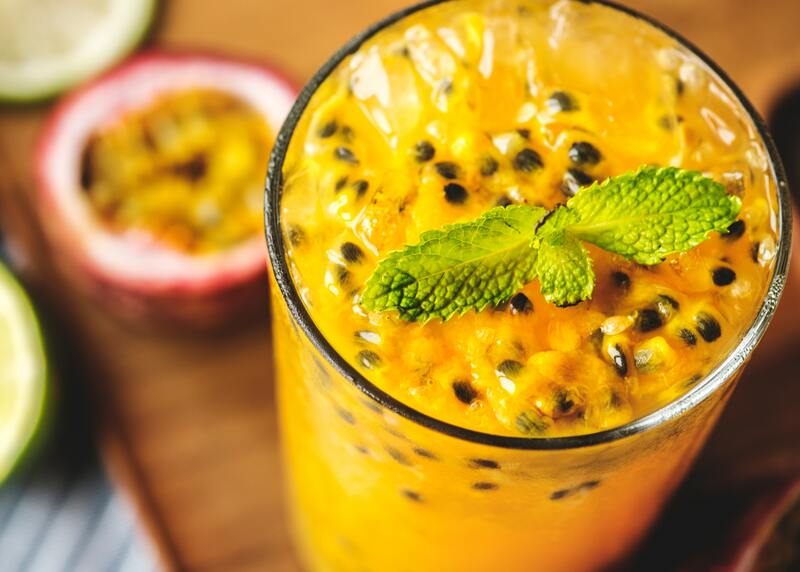 You want lots of filtered water available whenever you want it, and don’t want to wait for water to be filtered before you can pour yourself a glass. This is where the Big Berkey countertop water filter system comes in handy. It’s perfect for large families and those who need lots of filtered water available. The Big Berkey water filter holds 2.25 gallons of water, and is designed for use in homes with 4 to 16 people. Make sure you have enough countertop space before buying a Big Berkey. When assembled, it measures 21 inches in height and 8.5 inches in diameter. Please click here to check the latest price and read more reviews. If you think the Big Berkey isn’t big enough for your household, then the Royal Berkey might be a better choice. It’s slightly larger than the Big Berkey, with a height of 23 inches, compared with the Big Berkey which is 21 inches. The Royal Berkey diameter is 9.5 inches, versus the Big Berkey with a diameter of 8.5 inches. 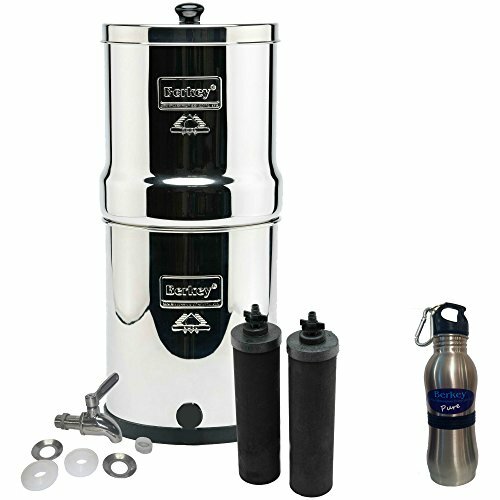 The Royal Berkey capacity is 3.25 gallons versus the Big Berkey which can hold 2.25 gallons of water. Water is filtered at up to 4 gallons per hour if you’re using two Black Berkey elements. If you’re using four Black Berkey elements, you can filter up to 8 gallons of water per hour. Why would you want to use a Royal Berkey instead of a Big Berkey? The Royal Berkey is great to use in an office, at a sporting club or anywhere where there are lots of people and water consumption is high. You need a countertop water filter that can do an excellent job at a faster rate. Click here to check the latest price and read more reviews. The Travel Berkey is a great choice for those who want something a little smaller than the other Berkey water filter systems. The Travel Berkey has a capacity of 1.5 gallons and its height is 19.5 inches, compared with the Big Berkey which has a capacity of 2.25 gallons and is 21 inches high. We also like that the Travel Berkey comes in a bundle with two black filters and two fluoride filters, as well as a stainless-steel bottle. This is great for when you’re out and need filtered water. 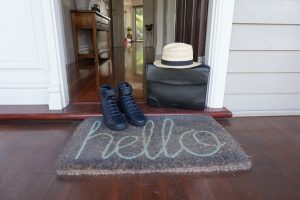 Just fill up your water bottle with filtered water before you leave home, and you’ll always have access to fresh, clean water. The stainless-steel bottle is BPA-free, has a 1.5 inch opening and comes with a carabiner clip. The top has a silicon seal to prevent dripping. The Berkey Light looks like a typical water cooler that you’d see in an office. Unlike other Berkey water filter systems, the Berkey Light is made of a strong, BPA-free copolyester that’s shatter resistant and is strong enough to resist high impact. The storage capacity of a Berkey Light is around 2.75 gallons and it has a height of 26.5 inches when it’s used with the base. Without the base, it’s height is 21 inches. The diameter is 9 inches. The Berkey Light has a higher water capacity than the Big Berkey and Travel Berkey, however it has a lower capacity than the Royal Berkey, which has a capacity of 3.25 gallons. Why would you choose a Berkey Light? It’s been designed for outdoor use, when traveling or during emergencies. Since it’s made of copolyester and is transparent, you can easily monitor the water level and top up when it’s nearly empty. The Berkey Light is suitable for groups of people up to 10 or 20. Berkey water filter systems are gravity systems, which means you pour water into the top chamber and gravity forces the water down through the filters, and into the lower chamber. 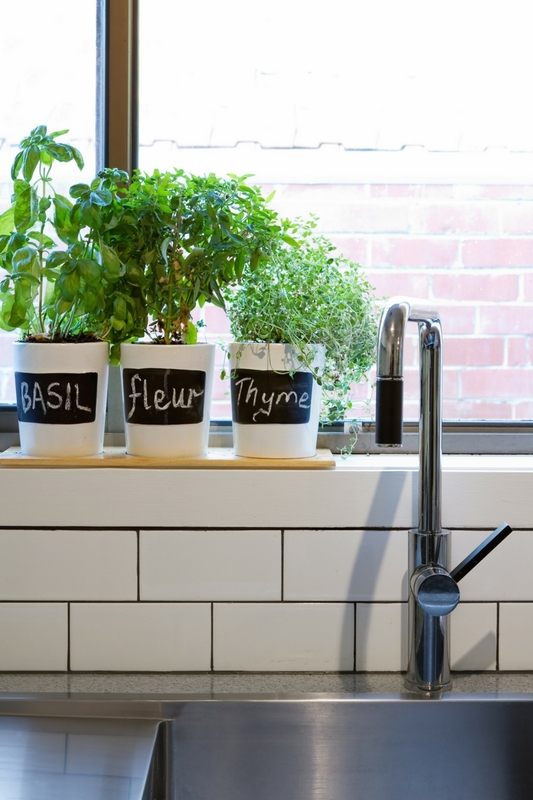 Other water filter systems such as those by Zero Water, Pur and Brita do the same thing. You’re shopping around for water filters and curious to find out more about the Big Berkey. 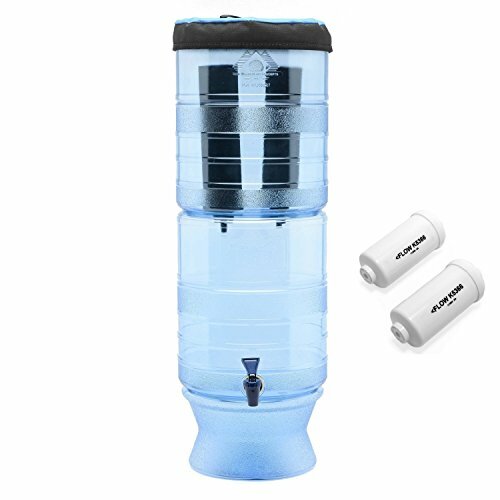 It’s a very popular water filter and a top seller on websites such as Amazon. Berkey has produced a few different models and sizes, so it’s a good idea to look at all of them before making your final choice. Even though there are different models, Berkey has designed the filter systems so that the same filters are used on all the different models. If you end up buying a new one in a few years, you can still use the same filter type. There are subtle differences between the Berkey water filter systems. The main difference is the size of the unit, its water capacity, and how much water can be filtered per hour. 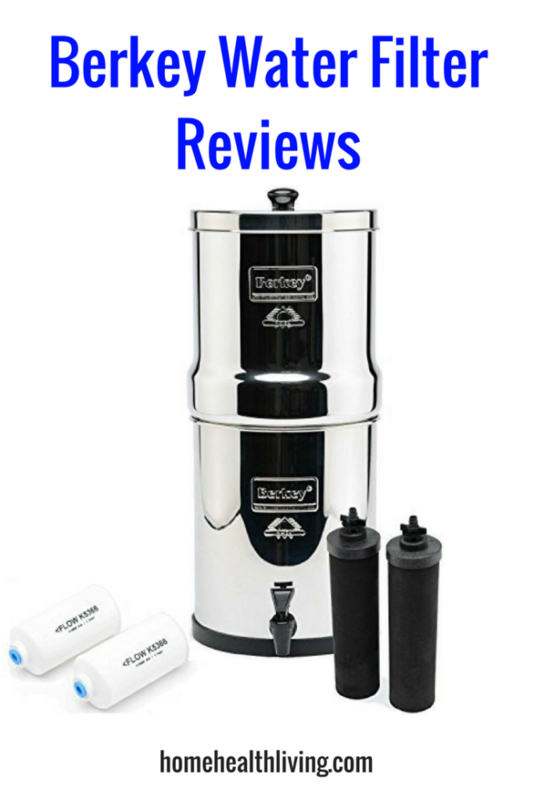 For anyone wanting a smaller unit, the best choice is the Travel Berkey water filter. 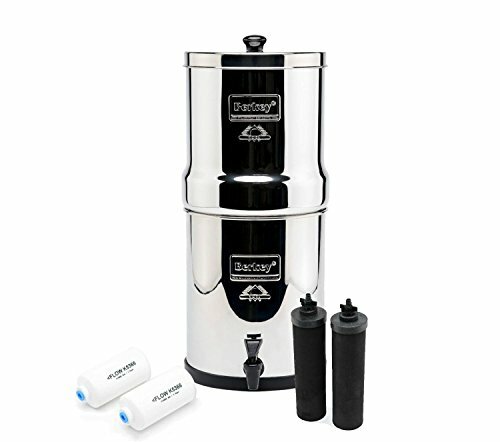 For a large sized water filter, the Royal Berkey is a great choice because it holds around 3.25 gallons of water, the most of any Berkey water filter. If you’re wanting a unit to use in your office, the Berkey Light is your best choice. It looks like a typical water cooler found in an office. To make it easier for you, I’ve created a table showing you a Berkey water filter comparison. You’ll easily see the differences between the models. All Berkey models are made of high grade 304 stainless steel and consist of an upper chamber, lower lower chamber, lid and spigot. 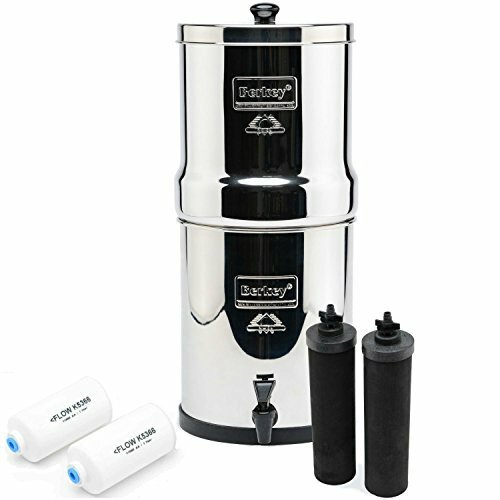 When you buy a Berkey water filter you also receive 2 black Berkey purification filters and 2 fluoride elements. If you’re wondering, “Does a Berkey water filter remove fluoride?” then you’ll be happy to know that it does, using the 2 fluoride purification elements. The Berkey purification filters have a lifespan of 3000 gallons each, so that’s a total of 6000 gallons for the Big Berkey system. Each fluoride filter can filter up to 1000 gallons before needing to be replaced. All Berkeys can hold up to 4 purification filters and 4 fluoride filters, so even though you only receive 2 of each with your Berkey, you can purchase additional filters. When using all 4 filters, the system purifies up to 7 gallons per hour. The filters are referred to as purification filters or elements, because they remove 100% of pathogens therefore they’re known as a water purifier more so than a filter. A Berkey water filter system is suitable for filtering water from lakes, streams, ponds, wells and water from foreign countries that don’t have stringent health regulations. The water filter system can remove pathogens and bacteria, cysts, parasites, chemicals such as herbicides and pesticides, volatile organic compounds, solvents and radon 222. 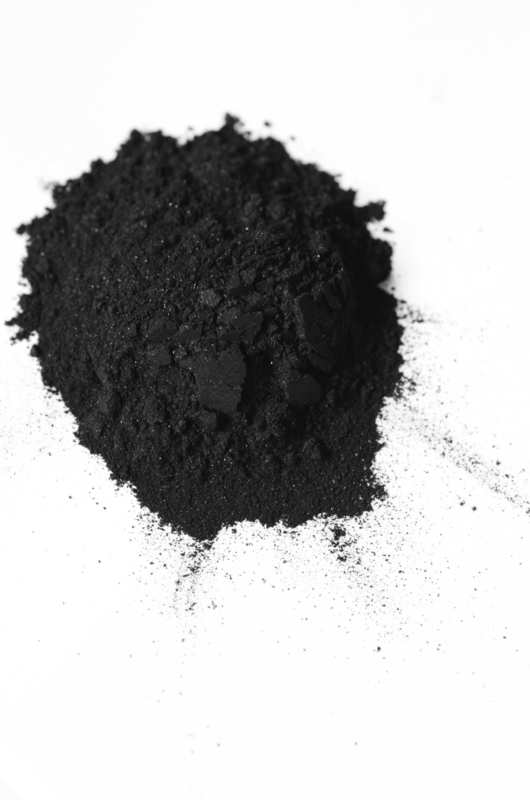 It also reduces nitrites, nitrates, mercury and lead. The water filter system can also remove food coloring! A Berkey is powerful and effective yet it doesn’t remove essential minerals. The fluoride filters remove up to 95% of fluoride which is great if you’ve wanted a water filters that removes fluoride. This is normally something that you’d need a reverse osmosis system to do, as most water filters do not remove fluoride. Berkey’s filters are better quality, leaving you with better quality water when using a Berkey water filter system. Each water drop spends more time passing through the filters, so that more contaminants are filtered out. Berkey’s water filter systems are countertop water filters and they come in different models and sizes. What we love about the Berkey is that you can use the same filtration elements regardless of the Berkey model you own. The Berkey fluoride filter reduces fluoride by up to 95%, and is known as an effective fluoride filter. If you want a higher level of fluoride filtration, you’ll need to invest in a reverse osmosis water filter system. For many people, removing up to 95% of fluoride is sufficient. It’s a good idea to find out how much fluoride is contained in your water. This can be done by performing a water test using a TDS meter, or even obtaining a copy of a water report for your town or area. A reverse osmosis water filter has between four and seven different stages, depending on the type of filter used. During the filtration process, water that contains contaminants is flushed down the drain and not consumed. This means if you use a reverse osmosis water filter system, you’re using more water and wasting a lot too, when compared to using a Berkey water filter. Water that’s been filtered through a reverse osmosis system sits in a storage tank until it’s consumed. These tanks don’t hold as much water as a Berkey water filter tank. It also takes longer to filter water through a reverse osmosis filter than a Berkey water filter. While some people might think a Berkey is “too big”, there’s a great reason behind the design. The larger the chamber, the more filter elements it can hold. The Berkey could have been made smaller, but then you’d only be able to house two filter elements instead of four. The more elements used, the better quality your water and the faster the water can be filtered. Zero Water is a popular brand of water filter products that we’ve reviews in other posts here at Home Health Living. If you’re wanting to know which is better: a Berkey or Zero water filter product, let’s compare both to see which is the best for you. Zero Water’s most popular product is the Zero Water dispenser system which sits on your countertop much like a Berkey water filter. It has a capacity of 23 cups, which is around 1.4 gallons. This is less than the smallest Berkey water filter, which is the Travel Berkey. The water filters used by Zero Water are 5-stage filters and are NSF certified. The ones used by Berkey water filters aren’t certified but are an effective way to remove fluoride. If budget is an issue, then you’ll need to know that the Berkey water filter replacements are more expensive than the Zero Water filter replacements. You need more filters for a Berkey, so the costs add up. There are discounted combo packs of replacement filters you can buy. Since the Zero Water only uses one filter, it’s cheaper to run a Zero Water countertop water filer than a Berkey.